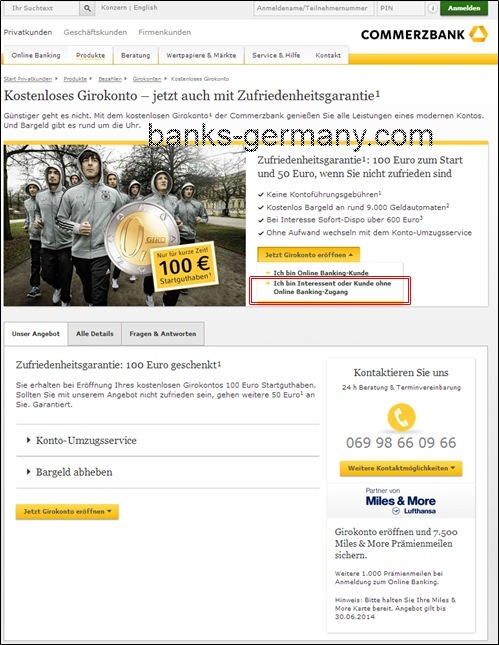 Commerzbank is one of the biggest banks in Germany and one of the few banks with provides an English service in Germany with an English Online banking interface. In addition, for new customers also get a joining bonus of cash and miles and more frequent flyer miles. Currently, a joining bonus of €100 (only on weekends)+ 11,000 Miles and More award miles. Please check here for the latest deal on Commerzbank to see if the offer is still valid. 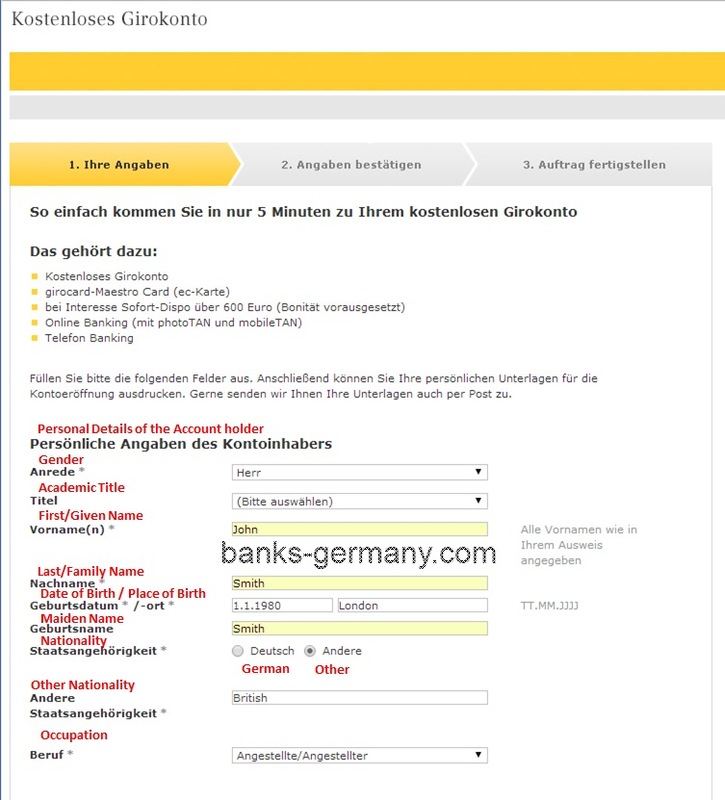 For more information about Commerzbank checking account, click here. 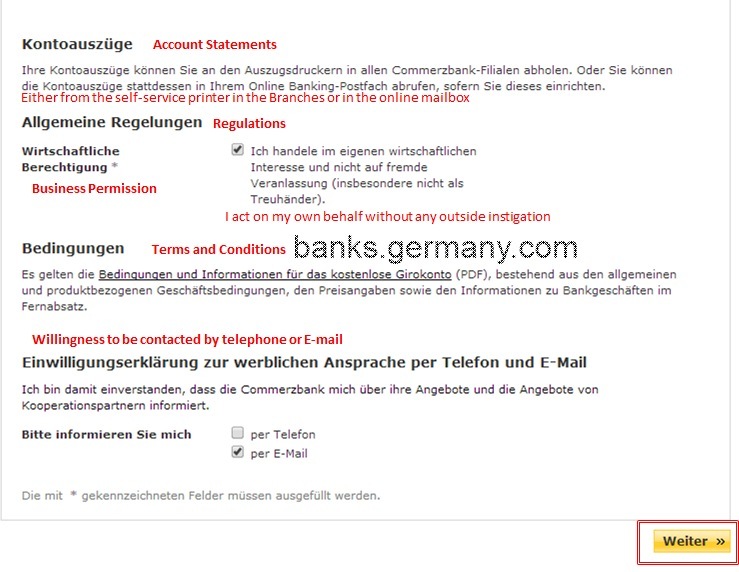 Below is a step by step instruction guide to open a Commerzbank checking account online which English translation and detailed screenshots. Open the online application form from the link provided here. This will open the below page. Click on the button “Jetzt Girokonto eröffnen” to provide a list of option, now click on the second option as shown below. Fill the application form with details of applicant. Provide the Contact Address details. Screenshot of the webpage with an English translations is provided below. You can get up to 8,500 miles and more frequent flyer miles for opening the bank account during offer period. Currently the offer is open for customers who open the bank account before 30.06.2014. In such case, enter your Miles and More Frequent flyer number to earn points. Agree to the terms and conditions. Note that the account statement is not sent via post (this incurs charges) and can be printed out from a self-service terminal in the bank branches or received on to your online mailbox in your bank account login. Check if the details you entered are correct. If not, go back (Zurück) and change the required details. 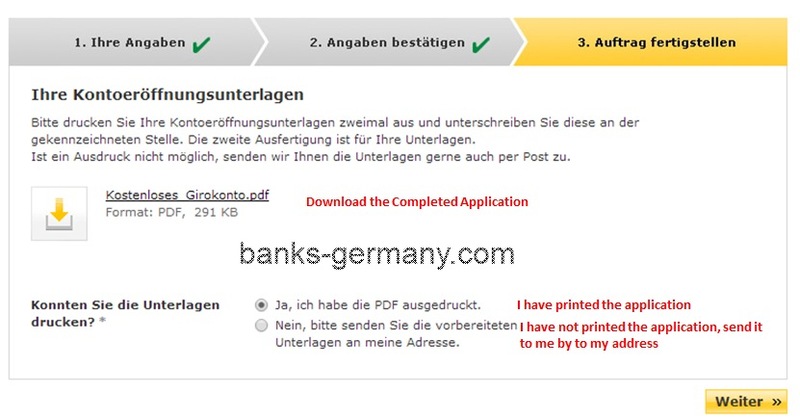 If all the details are correct click Next (weiter) to submit the application and generate the filled-up PDF-application. Download the completed application form and print them. If you were unable to print it , you can also request the completed application form to be sent by post. One of my clients wants to do business in London and berlin . He needs a bank account at both the places / or a single bank with presence at both the places . His status and available documents is as under…. Tax payer registration and returns filed with the income tax department of India. UK based private limited company – incorporated recently – single director / shareholder. also have a Limited company incorporated in INDIA. wants to complete all documentary compliance in advance , before he comes there so that he is not required to stay long for opening bank account . 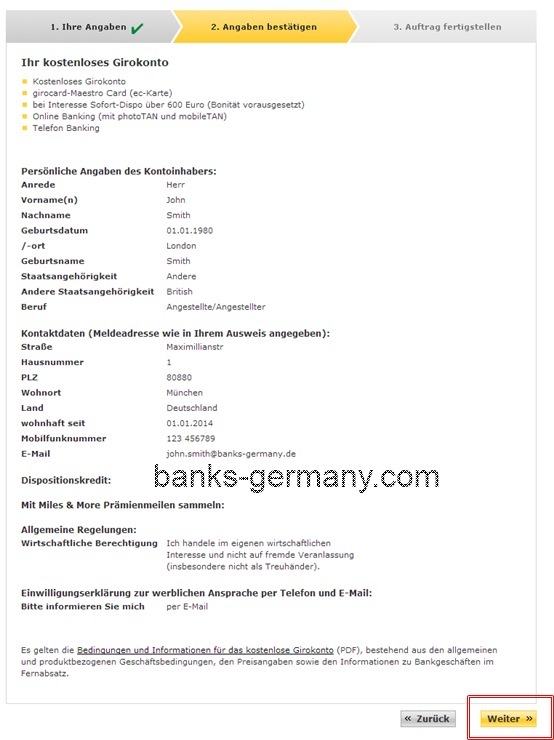 Please also advice whether he can open bank account of limited company incorporated in India, at London or Berlin? i have got admission in Rhinewaal University kleve,i want to open a blocked account. how to open it in kleve branch and what is the requirement ?